My hometown is a tourist spot. When friends and family visit, they get an insider perspective when I share the unique culture, history, landmarks, and food that make my area special. When I travel, those are the same experiences I seek, and I work hard to find a local person to guide me. The internet has made it easy to scout out travel guidance anywhere in the world. My friend was fortunate; searching online, she found an art history student in Florence who gave her an informative and interesting tour through the Uffizi Gallery. We weren’t so lucky when searching for a guide to the Kröller-Müller Museum, situated in a remote location outside of Amsterdam. My husband located a so-called art historian online and he provided transportation and showed us through the museum. It wasn’t until he dropped us off at the hotel that we learned his true vocation. While handing us a business card, he suggested we call him if we would like a massage; he was actually a masseuse. I have had many excellent and knowledgeable private guides since our trip to Amsterdam, but I have learned to practice due diligence. I thoroughly check references and use online sites for recommendations. I suggest you do the same. Nothing beats a recommendation from someone you know and trust. Ask anyone you know who travels if they can recommend local guides and itineraries. Conduct a search on Trip Advisor by entering “private guide” and the city of your choice. The site then lists tour guide names, some contact information, and traveler reviews. You can also do the reverse. If you have found a private guide by other means you can search Trip Advisor to see if they have traveler reviews. The feature has been in operation since 2000. Travel bloggers are generous in sharing their travel stories and resources. Search online for travel bloggers plus the city you plan to visit. You can also email travel bloggers directly and ask for recommendations. Viator, owned by Trip Advisor, helps you find an expert guide. Through their website you can select a destination and guide, connect with your guide, choose a customized itinerary, and book your tour. You’ll be able to read bios of the tour guides, their suggested itineraries, and traveler reviews. Viator joined Trip Advisor in 2014. ToursByLocal does the screening and links you to local tour guides from all over the world. 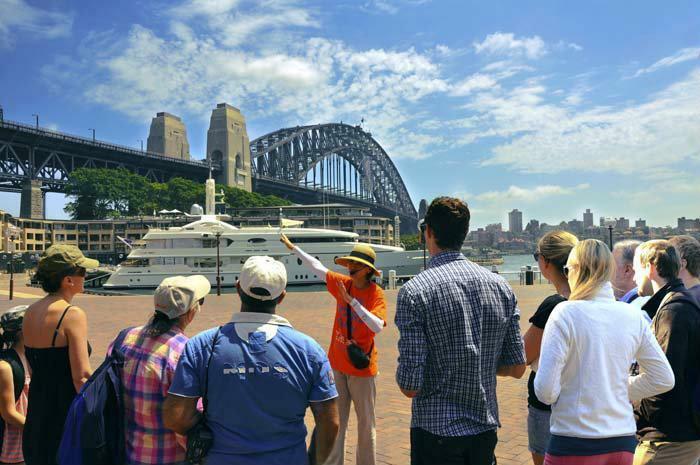 Knowledgeable local guides will provide suggestions on what to see and do and are usually comfortable in customizing a tour to meet your individual needs. You’ll get to choose your own guide, have a private tour, go at your own pace, and see the location through the eyes of a local. It has been in operation since 2008. If you search online for private tour guides, you will find other websites that help you find them. Do your homework before making a commitment to any site or guide. You want your vacation to be great fun and the right guides can help you do just that. Cooking Italian Style – Buon appetito! Which credit cards provide the best travel insurance protection?